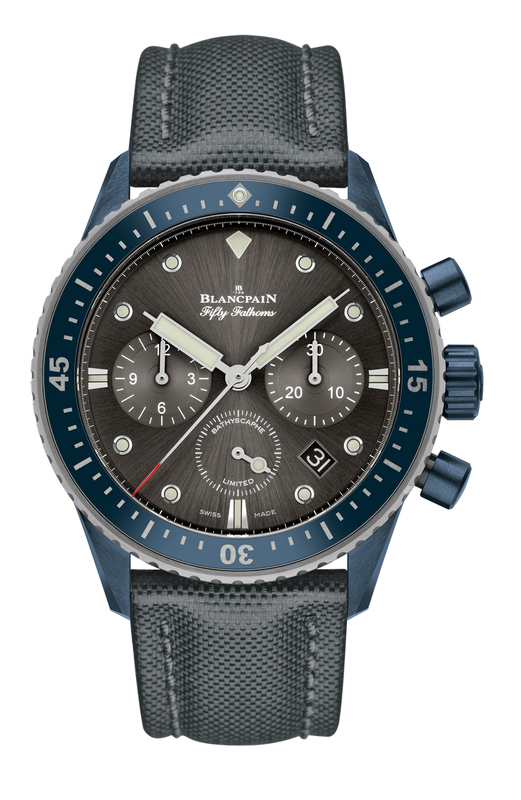 Every owner of this limited edition Blancpain Ocean Commitment (BOC) watch is invited to become a member of the "Ocean Commitment Circle". An amount of 1,000 Euros is taken from the price of each watch and committed by the brand to the support of scientific expeditions. Clients receive a certificate certifying that a donation has been made. 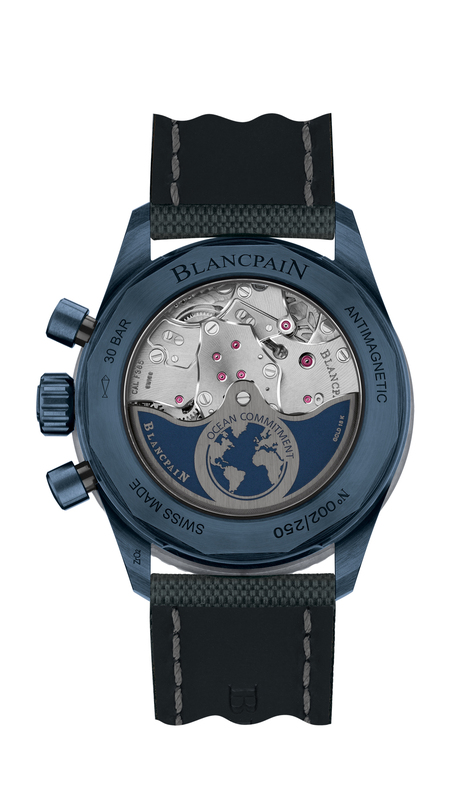 Thanks to their purchase, they become a privileged activist and support Blancpain in its endeavors to ensure the preservation of our oceans. The case, in satin-brushed blue ceramic, measures 43mm x 15.2mm. It has an AR-coated sapphire crystal, a sapphire display back and it is water resistant to 300 meters. 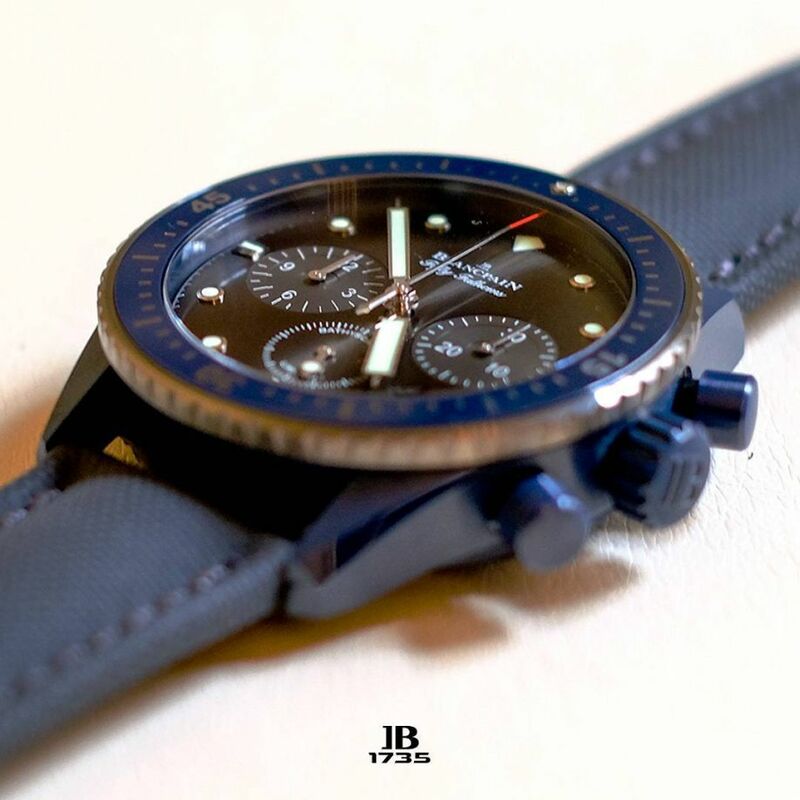 It has an unidirectional satin-brushed grey ceramic bezel with blue ceramic insert and Liquidmetal hour-markers. Movement is the Swiss automatic Blancpain in-house flyback caliber F385 with 37 jewels, 36,000 vph and a power reserve of 50 hours. 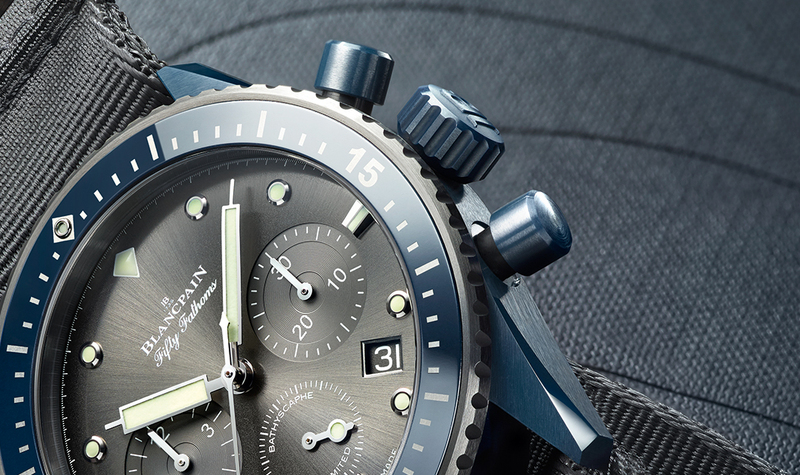 The rotor is engraved with the words "Ocean Commitment". Driven by a column-wheel. The F385 has a variable-inertia balance with gold screws, ensuring increased robustness and more precise adjustment than the usual index device, and is equipped with a silicon balance-spring. The dial is meteor gray with luminous hands and markers. 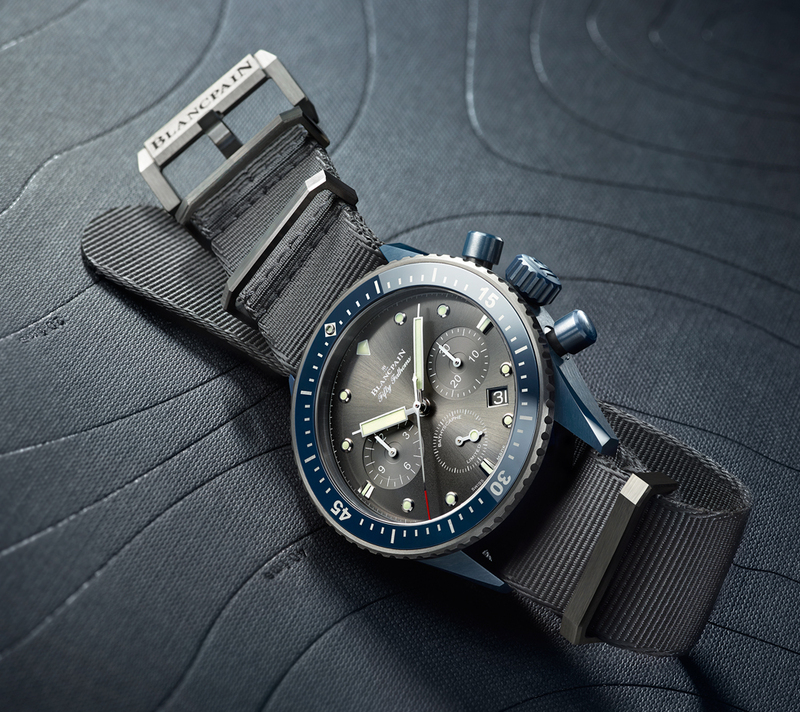 It comes on a 23mm sailcloth or NATO dive strap. It is delivered with an exclusive copy of a new book entitled "Hans Hass, Awakening to a New World", the number of which will correspond to the serial number of the watch. Hans Hass is regarded by his peers as well as diving historians as having been the "pioneer of pioneers". This Austrian biologist, ethnologist, photographer and filmmaker started exploring the seabed at the end of the 1930s, when no other suitable instrument existed. This precursor to scuba diving is a man of many records. Aside from the fact that he was the first to establish research laboratories on expedition ships, he was also the inventor of the Rolleimarin, a professional water-resistant case for the Rolleiflex camera, thus making it possible to bring back photographs from his explorations.